The ideal hero for sensitive skin, this expert serum acts as an anti-aggressor shield and is formulated to reduce the appearance of redness, soothe, and relieve irritated skin. A blend of cotton peptides helps to soothe and calm red, reactive skin. Its corrective green-tinted texture helps to visibly neutralize redness to calm and soothe skin. Enriched with antioxidant-boosting Iris Extract and composed of 79%* natural-origin ingredients, this formula is gentle on even the most sensitive skin. 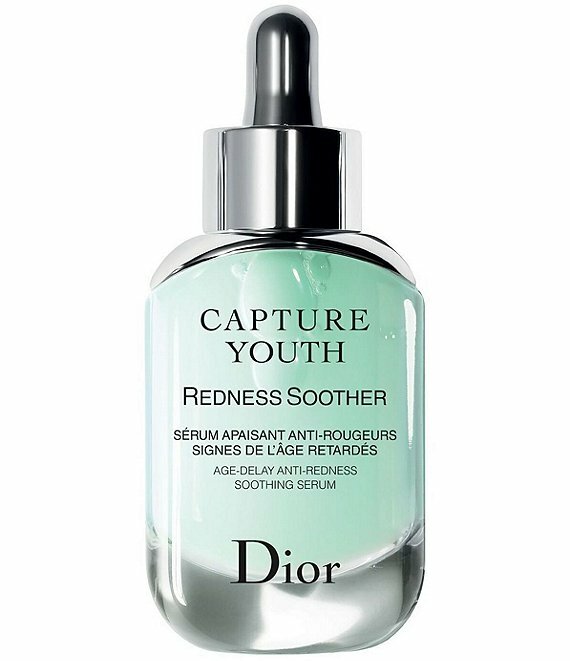 Apply the Redness Soother Serum daily before your cream for targeted treatment. For faster application: add 2 to 3 drops of the Redness Soother Serum to the Capture Youth creme and mix in the palm of your hand before applying.